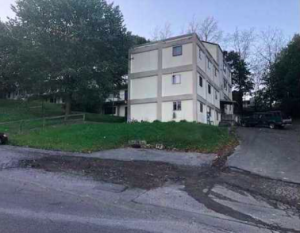 Could this violent Beckley apartment shooting have been prevented and are justice and compensation available to the victim? A 29-year-old man was shot during an apparent robbery home invasion “at the Hargrove Street apartment complex” Tuesday morning, October 23, 2018, according to The Register-Herald. The victim’s identity and current condition have not been released. Beckley police are searching for two suspects “wanted for Malicious Wounding, First Degree Robbery and Conspiracy after the break-in,” per WVNSTV reports. How did the suspects gain entry to the property? What security measures and access controls, such as gated-entry, fencing, bright lighting, monitored surveillance cameras, and visible security patrols, were in place to deter crime and protect the victim at the time of the shooting? Generally, property owners are required to protect all those legally on the premises from any foreseeable harm. Should the facts of this matter reveal that the property owner or management failed to provide adequate security to protect those on its premises, the victim may seek justice and elect to pursue legal claims for his injuries.